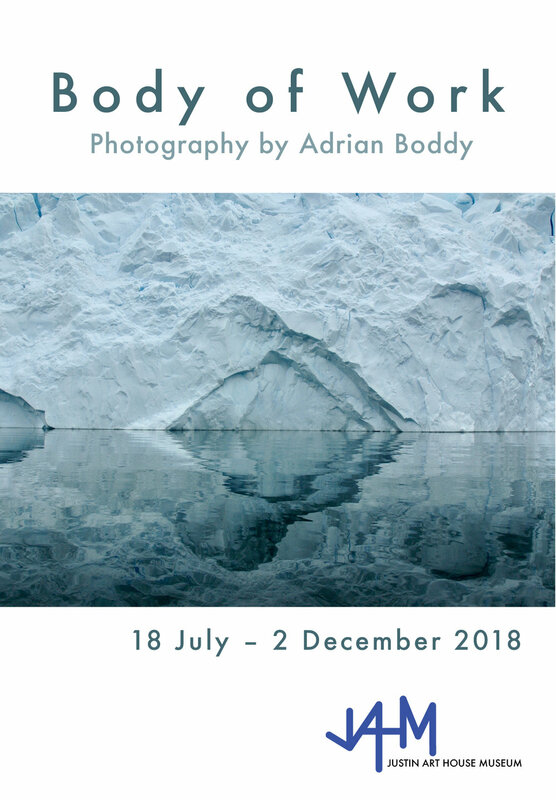 A collection of photographs charting a life's journey as seen through a lens.10 screens scrolling over 300 images of landscapes, fauna and portraits fill the space with haunting beauty. A visit includes a fully guided tour and concludes with refreshments in the apartment. Black and White and Red All Over features JAHM’s collection of black and white works mounted on blood red gallery walls. The title of the exhibition is the old well known newspaper joke and the show aims to explore the role that black and white plays, not only in artistic expression, but also in our history and society. The presence of polarities in today’s discourse, it's either black or white – as reflected in left or right, rich and poor, secular and religious, and liberal and fundamentalist. Critical and popular is eliminating the grey, as well as the nuance and subtleties in between. This exhibition explores this phenomenon. For its second exhibition in 2017, JAHM is privileged to present more than 40 works from the outstanding collection of Canberra couple, Susan Taylor and Peter Jones. A visit will afford you the unique opportunity to enjoy an exhibition with its very specific focus on non-objective art. This show has been curated by Susan and Peter with great care and attention, and they are personally invested both emotionally and intellectually with each of the works selected. How different are the works acquired in 2000-2003, the first three years of their collecting journey from those acquired in the last few years? A visit will offer you the opportunity to reflect on their collecting practice and to observe the change in contemporary art practice over the last 20 years. Don’t miss out on this fascinating private collection, never shown in Melbourne before. The exhibition will again be augmented by complementary works from the JAHM collection upstairs in the Justin apartment. We are living in the age of the Digital Revolution. The ever increasing rate of development in digital technology is dramatically changing our society and affecting almost every aspect of our lives, be it the way we work, are entertained, educated, shop, bank, connect with others, find our partners, travel, receive news. The list goes on. The means for self expression are also expanding at a great rate. So today we can apply this technology to project ourselves into the public sphere as writers, journalists, moviemakers, celebrities, opinion makers, chefs, musicians and even artists. Within this milieu, there is a blurring of the boundaries between what is real, what is virtual and what is fiction. This theme is explored in the exhibition DIGITAL: The World of Alternative Realities presented by The Justin Art House Museum - JAHM. We have selected digital artworks from our collection, which express ideas about dystopian visions, alternative universes, the increasingly machine-made world, altered perceptions of space/time and a social commentary on our dramatically changing world. Staying true to JAHM’s vision of providing a platform for divergent voices to reflect on art, Professor Tim Flannery, a renowned scientist, academic, author, climate change advocate and activist from The University of Melbourne’s Sustainable Society Institute has written an essay to complement the ideas and themes addressed in this exhibition. As a scientist, particularly engaged in climate change, he constantly deals with alternative realities and his views will no doubt lead to many compelling conversations. Read his full essay below. It is a rare opportunity to experience Digital Art as it is not commonly collected or exhibited. This experiential exhibition is created by a globalised network of international and Melbourne based artists who set out to create a collaborative exhibition of abstract interventions at JAHM. The Infinite Loop will showcase both existing and new work of three German artists; Lars Breuer, Sebastian Freytag, Guido Münch, who also operate as the collective known as the Konsortium, and three Melbourne based artists; Justin Andrews, John Nixon and Stephen Bram. These artists work from within the realm of abstraction, but each artist’s use of it is different, resulting in divergent outcomes. All of these artists have practices that involve (but are not limited to) painting, construction, wall drawing, photography, film, graphics, publishing, and curation. The purpose of this exhibition is to use the presentational format of the exhibition space as an arena to evidence relationships that exist between the presented practices. With this in mind, the model of ‘exhibition space as recursive loop’ will reveal visual, material, formal and conceptual meeting points for the viewer to become continuously immersed in, as aspects of exhibited works refer to each other in a perpetual non-linear fashion. This curatorial project centres on the use of the exhibition setting as an ambient space. The incidental and subjective will feed back into itself via a dialogue that is staged by the work shown, creating a highly affecting, recursive, infinite loop. This is a show not just about Abstract Art, but also the conversations and questions that occur during the process of its inception. Justin Andrews contends that "this exhibition will reveal a range of shared forms and elements, symbolising a like-mindedness between all six artists. There is a real shared history behind this network of artists that has yet to be fully explored." JAHM proudly presents itself as the first Australian platform in which these discussions can take place. Can abstract art represent the abstract Divine? JAHM’s inaugural exhibition features 18 works from our contemporary art collection that includes videos, digital works, photographs and paintings. Each abstract artwork describes a manifestation of the divine and collectively the exhibition presents a picture of the Divine that on the one hand is ephemeral, but on the other, can be a profound ingredient in our human lives. Renowned ABC broadcaster and writer Dr. Rachael Kohn, regarded as one of Australia’s pre-eminent authorities on theology and spirituality, has written a critical overview of the exhibition and an insightful series of essays on each of the works. The Divine Abstraction exhibition presents a proposition that art can provide as powerful a pathway in our search for meaning, as does religion and philosophy.